The New York Giants defense is missing a true leader – a player that can command the locker room and elevate the play of his teammates – somebody like, say, Michael Strahan or Justin Tuck. An impact performer with the ability to instill discipline and confidence in the people around him. 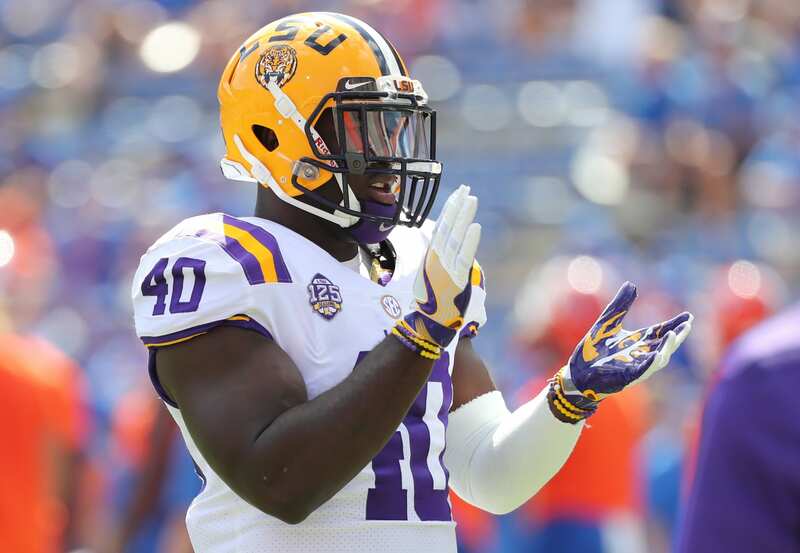 Some might say LSU linebacker Devin White is that player. In fact, most say that. Two consecutive seasons of over 120 tackles and 12 tackles for a loss have propelled him into the top-7 players in the 2019 NFL Draft. He has turned into a top option for the Giants, a team looking for a quality leader on defense and a play-maker. White ran a 4.42 40-yard dash at the NFL Combine, one of the highest ever seen at the position. The 6-foot, 237-pound linebacker plays like a running back, and that’s because he racked up 5,031 yards and 81 touchdowns on offense in high school. His abilities have compounded at an extraordinary rate ever since making the switch and dedicating himself to his new position. The LSU star is a very likable player by teammates and coaches alike. He’s easily coached and willing to learn from experienced players and developmental factors. His rare tangible elements combined with his intelligence for football make the perfect prototype linebacker. Pairing him alongside Alec Ogletree in the middle of the field would be an opposing offense’s nightmare. The ability to cover, rush the passer, stop the run; White can do it all with ease. However, despite his talents, White has weaknesses and flaws of his own. A lack of tackling technique and the tendency to bite on misdirections are two of the more visible issues. Luckily, these are coachable problems that will likely deteriorate with experience at the next level against proven talent. The Giants would be wise to consider drafting White if available at No. 6. There are several other options like Josh Allen and Quinnen Williams that might fit the bill more, but we cannot forget about the value White offers.